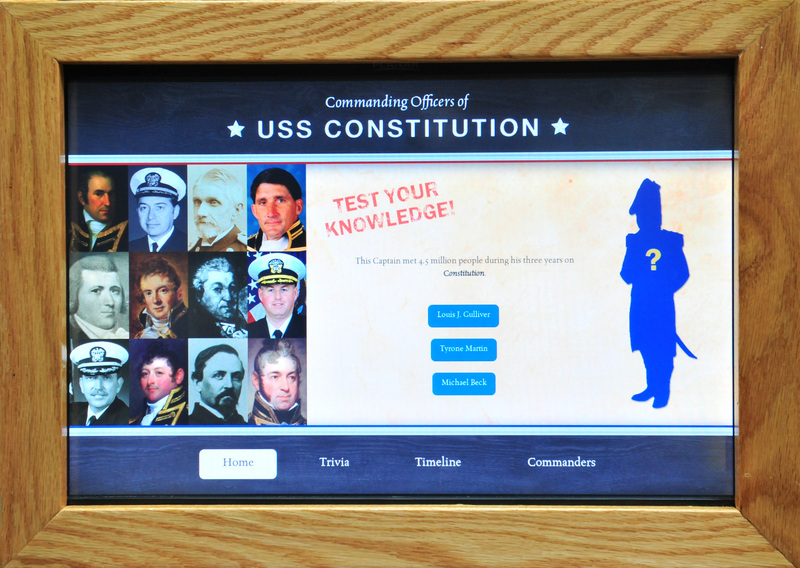 Museum visitors can test their knowledge of USS Constitution's commanding officers. An interactive exhibit at the National Museum of the U.S. Navy lets visitors learn about all the sailors who have commanded the USS Constitution. The exhibit, which will soon be available in the USS Constitution Museum in Boston and online as well, includes a timeline, a quiz and biographies of former commanders of the ship. The timeline also includes major events in naval history and how Old Ironsides played a part in them, said Jennifer Marland, assistant curator at the museum. The display is located on a re-creation of part of Constitution’s gun deck. Marland said the exhibit is an “ongoing process” and will be updated.